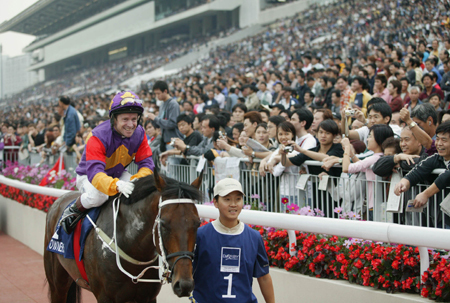 Lucky Owners strides clear of Tiber to take the Mercedes-Benz Hong Kong Derby. "I've done it!" 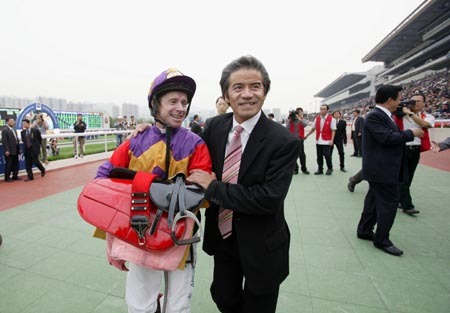 Felix Coetzee roars as Lucky Owners claims the Mercedes-Benz Hong Kong Derby. 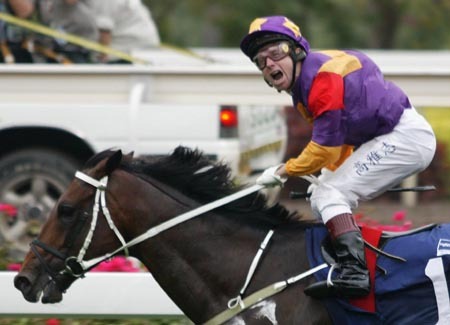 Felix Coetzee punches the air after Lucky Owners crosses the line the winner of the Mercedes-Benz Hong Kong Derby 2004. Lucky Owners, the Mercedes-Benz Hong Kong Derby champion and jockey Felix Coetzee return to scale after their famous win. Derby heroes Felix Coetzee and Tony Cruz celebrate. 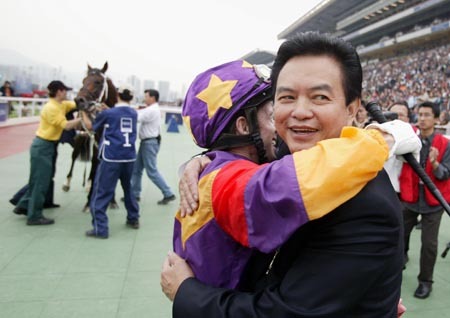 The luckiest of owners, Mr Leung Kai Fai gives Felix Coetzee a celebratory hug. 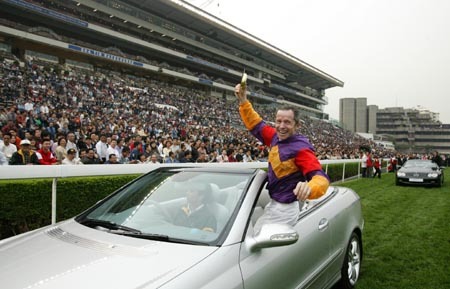 Felix Coetzee drives down Sha Tin straight in a smart Mercedes after winning the Mercedes-Benz Hong Kong Derby. 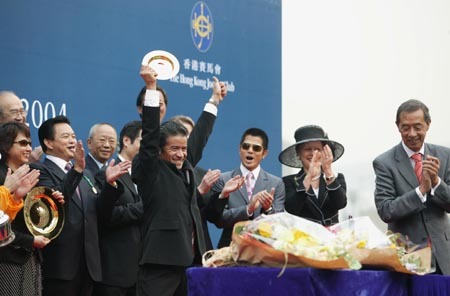 Trainer Tony Cruz accepts the plaudits of the Sha Tin crowd after winning the Mercedes-Benz Hong Kong Derby with Lucky Owners. 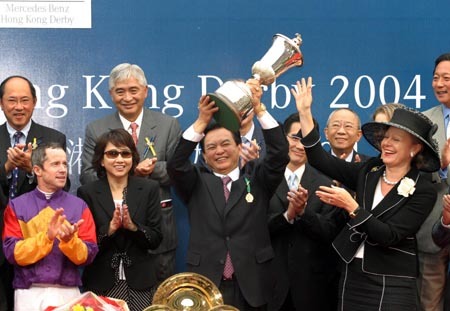 The luckiest man in Sha Tin - owner Mr Leung Kai Fai lifts the Mercedes-Benz Hong Kong Derby trophy.